The wait is over! 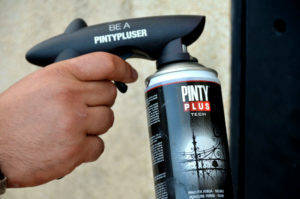 The hoped for and eagerly anticipated Pinty Plus Applicator Spray Gun has been launched. 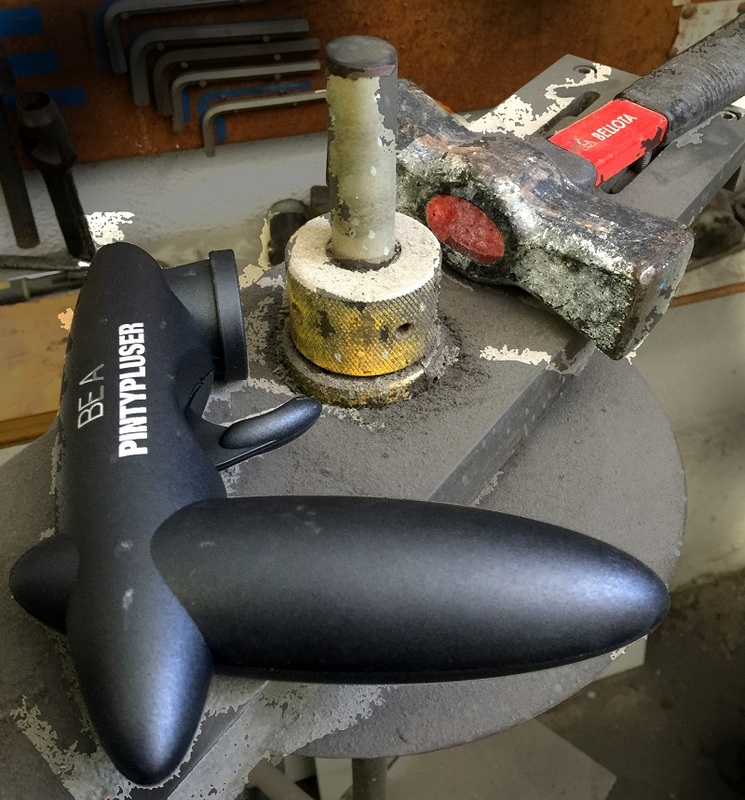 We have taken our time to produce it because we wanted to ensure that it was ultra durable. It is coming to the U.K. in January 2017. With this gun you’ll never tire of painting. You’ll notice the difference immediately if you normally work with spray on routine tasks or if you have to paint large surfaces with it. You avoid the dreaded finger fatigue and it makes it much easier to paint fluidly and accurately. 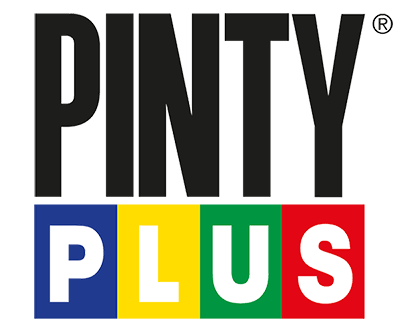 It carries the slogan ” Be a Pintypluser ” on one side and the Spanish Novasolspray blog shakingcolors.com on the opposite side. Universal adaptor for any aerosol tin. 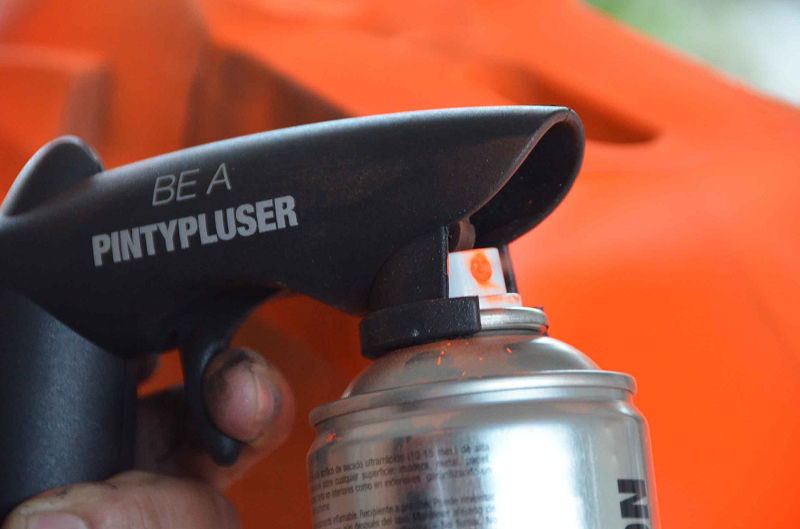 This applicator is adapted to the base of the valve of any aerosol. This is a standard measurement for virtually all spray paints around the world, regardless of the length or diameter of the can. Extra long service life, virtually indestructible. Novasol Spray tests every product brought to market thoroughly and this is no exception. That is why we have used it excessively in our own laboratory. In order to subject it to the ultimate of stress, we have used it to paint our own colour charts for 6 months continuously. In this time we have used more than 1,000 cans of paint. The effectiveness remains as the first day we used it. We are tired of waiting for it to break, so we felt confident to launch it to our customers. We can not guarantee that it is completely indestructible, but the view is that it is very close indeed.